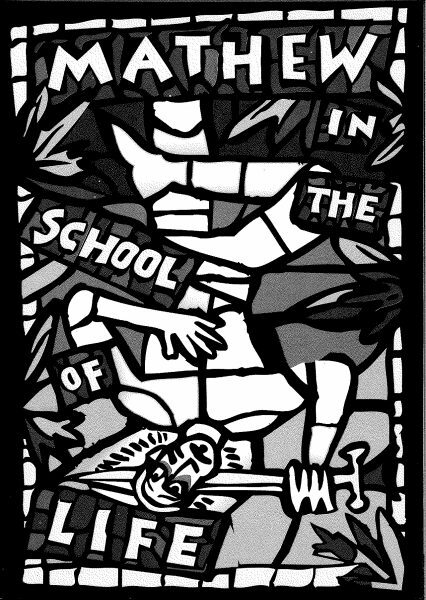 Composed by John Moran and directed by Bob McGrath of Ridge Theater, Mathew in the School of Life Part 2: The Flood premiered as a sequel to Mathew in the School of Life Part 1: The Lamb of God a year following its debut at The Kitchen. Heavily influenced by the Bible, both parts of the sci fi opera chronicle the struggles and victories of a robot built to carry the weight of human suffering. McGrath made the choice to cast multiple performers for each role, and they lip-synched over Moran’s pre-recorded score while moving robotically alongside slide projections in an onstage homage to cinematic tropes. Bridging pop culture with the epic, humor with sorrow, and opera with emotion, Mathew in the School of Life was the starting point for several more collaborations between Moran and Ridge Theater.